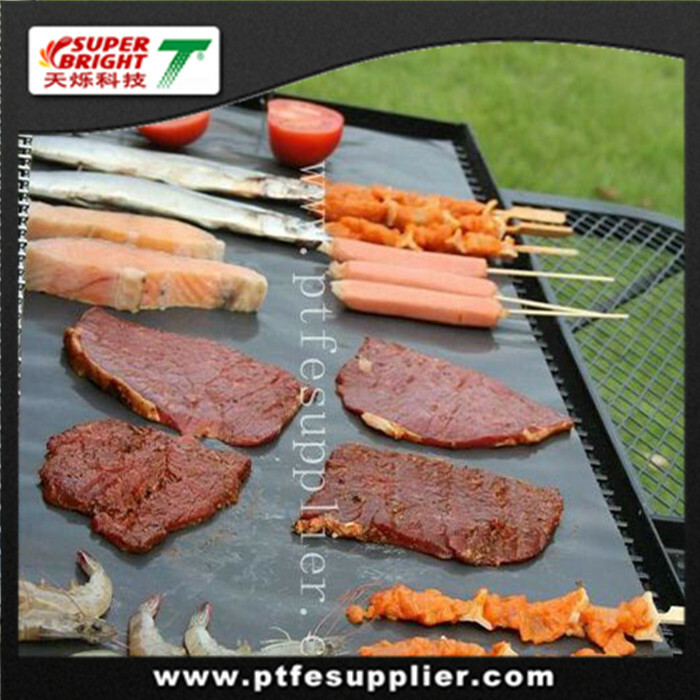 PTFE BBQ Liner is made of PTFE and fiberglass. 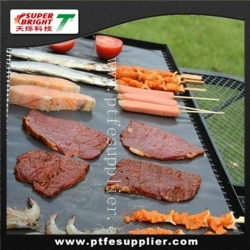 Taking the advantage of the non stick and heat resistance of ptfe with the strength and dimensional stability of fiberglass, our bbq cooking mat help you to avoid to put the food on dirty, burnt and rusty BBQ grill or plate directly, helps to keep BBQ grill clean, saves hard work to wash. Most important, there is no need to put oil or grease on the resuable Non-stick BBQ grill mat any more, so allows customers to bbq in a much healthier lifestyle. easy to clean in soapy water with a sponge, or kitchen paper. Using resuable Non-stick PTFE BBQ Liner ? This resuable Non-stick BBQ grill mat is shaped to fit the electric , charcoal and gas public grills . No more cleaning up after other people, this liner gives you a clean surface to cook on every time. Totally re-useable for years both sides. Our company can provide different size , color and shape for you can imagine. our regular color is black , grey , brown and silver. When you buy a little big resuable PTFE BBQ Liner, it can be cut with scissors by yourself. Non-stick reusable PTFE BBQ Liner is heat resistant from -60°C-260 °C, when we are cooking the food , the temperature usually ranges below 200°C, so it is very safe and healthy to enjoy bbq with liner.